It is with great pleasure that I can announce being voted “Dentist Of The Year” at the Hungarian Dental Awards in October 2015. The election took place during the largest Hungarian Dental Congress held in Budapest, where a jury of ten and the participants could vote. After my father founded his medical office, I founded my own 25 years ago. I introduced many new diagnostic, therapeutic and dental technologies that became a standard later. These include the panoramic x-ray, computer tomography, 3D planning and computer navigated implantology, treatments with ultrasonic surgical devices and laser surgery. Our clinic in Hungary is nowadays the best equipped private dental clinic where we use the most advanced technologies for operations, conservative treatments and dental technology. My appearances as a speaker at many conferences, trainings and seminars as well as the publication of 15 scientific articles played a crucial role in the grading as well. I am particularly proud that the entire scientific jury chose me for the price. My main task right now is to share my knowledge of dentistry and implantology in its entirety with my Son Dr. Stephan Tóka, so that he might receive this prestigious award as well someday. Our dental clinic team will help you in all areas of dentistry. Through the cooperation of a dentist, an implantologist, a dental hygienist, assistant and dental technicians, we receive the best results possible. 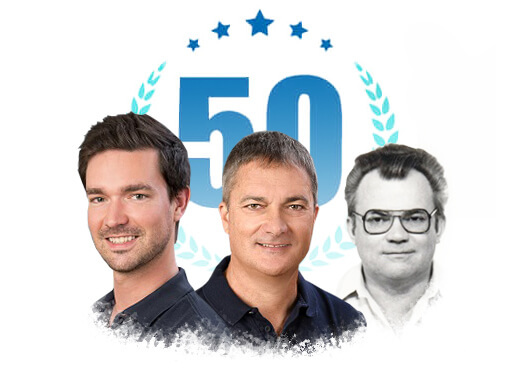 Our dental clinic in Hungary is a team that has grown in 45 years through motivation and constant training. Our largest and most important asset is the innovation of our employees. Implantology, implant dentures, prosthetics, endodontics, periodontics, cosmetic dentistry and dental technology are all part of a complete dental treatment. The advantage of our clinic is that we have relevant personell for all areas, a tradition of our family business. All devices and equipment in our clinic are state of the art. Our services include prophylaxix, periodontics, diagnostic radiology (3D digital volume tomography, dental CT, digital panoramic x-ray, digital intra oral x-ray), aesthetic dentistry such as teeth whitening, bleaching, tooth jewelry, tooth colored fillings, ceramic restorations such as crowns, inlays, onlays, veneers, dental bridges and prostheses. The most important dental treatment that makes foreigners visit our dental clinic is probably the implantology. The insertion of dental implants in our clinic in hungary is done with digital computer navigation after a digital 3D planning of the implants. Services such as bone grafting, bone replacement, bone and mucosa transplantation, controlled tissue regeneration or our PRGF regeneration support package are part of our dental clinic. Our dental technicians work in our in-house laboratory with digital planning and digital milling technology. Furthermore, we are able to make immediate temporaries. 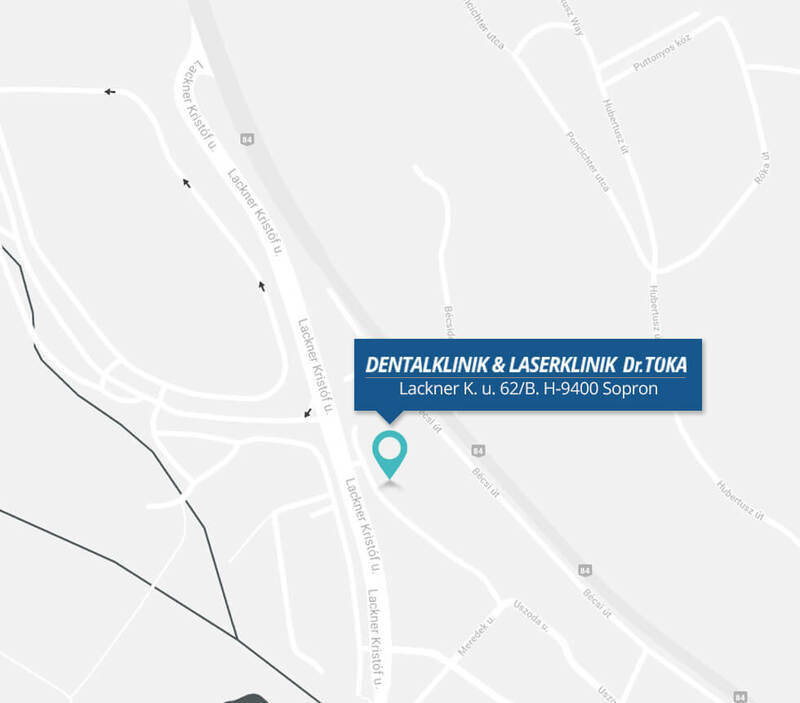 The dental clinic Dr. Tóka is a dental clinic in it’s third generation, whose tradition is innovation. The founder, Dr. Jószef Toka Sr., founded his first private practice in 1968 during his time as chief physician and head of a government clinic in Sopron. His son, Dr. Jószef Toka jun., graduated as a Specialst in Oral and Maxillofacial surgery and as a specialist in conservative dentistry and prosthetics, finishing with a Master training in implantology in Germany. Dr. Stephan Tóka, the third generation, attended the University of Tampa in the USA after graduating in England and finished his dental degree at the Dental University of Vienna. We would be delighted if you would visit our dental clinic in Hungary. Unfortunately, civilisation comes with environmental pollution, which puts pressure on people’s health and most of the time we will not even realise it. For our system the most straining pollution is the harmful material is inside our body. I do not think this is a sufficient definition: “damaging effect is not proven”. I only use materials which were scientifically proven to be bio compatible and neutral for the body. Titanium and hyacinth-ceramic are difficult to work with but if the material is clean enough should satisfy the criteria above. The clinic’s own dental lab is the assurance for the quality of the built in materials (they comply with the highest level of medical cleanness norms). The built in continuous quality control minimizes the technology’s hidden mistakes between work phases. The requirements for our business are to work to the highest levels and this applies to everything we make or do. Therefore not just the best materials and technologies are used but with the continuous trainings we obtain the newest professional knowledge level too. To be able to use our knowledge and experience optimally we feel it is really important to create a very good atmosphere in the clinic. This standard can be achieved with team work and if everybody can rely on each other. This is the way to measure our clinic’s success. Only a satisfied patient would recommend our practice and would stay with us. Therefore we spend a lot of time to give advice to you and work out your optimal solutions. Naturally I know, the highest standard cannot be achieved alone, therefore I think it is very important to employ the best colleagues and all the different work phases should work together in harmony. The dental hygienist, the implatologyst, the dental technician and all the other assistants have to be the best in their profession and should be able to work together to reach the same aim: satisfied customers. The doctor-technician connection is especially important. This special work connection helps the doctor to control the different work phases and alter them according to the patient’s needs. My clinic is run by these rules. Teamwork: where everybody gives their best knowledge and experience. These are the most important elements of a success. Our dentistry, dental laboratory, eye clinic and dermatology. where we use the most advanced technologies for operations, conservative treatments and dental technology.